Hello stampers! It has been a fabulous week of stamping. 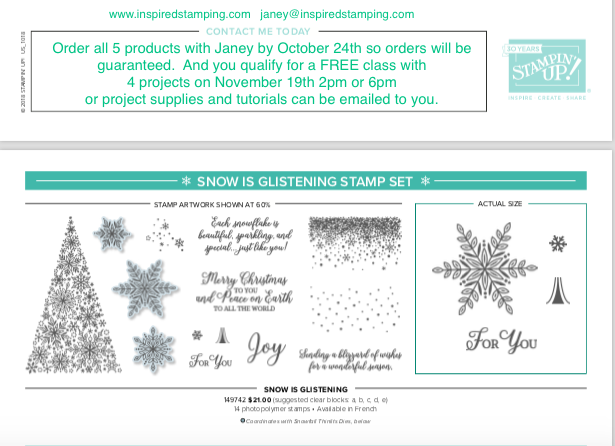 I have an exclusive class each month for my Stamp Club members. It is so fun to connect, catch up, and stamp together each month. 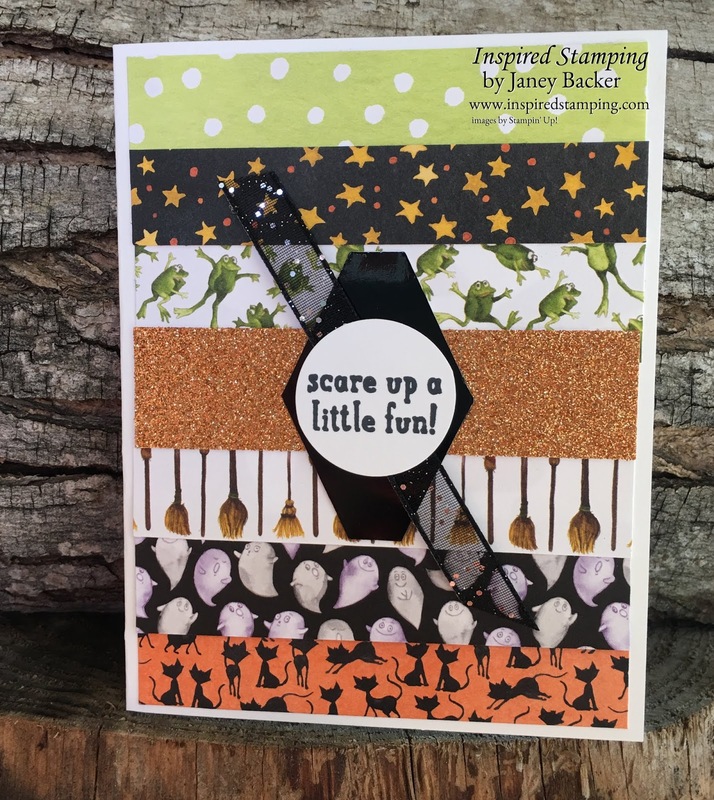 I featured autumn designs in our October class, products for these projects are detailed at the end of this post. Each month I teach one technique. The Embossing Mats and leaf thinlets were used in the Big Shot as the technique lesson. I used the leaf thinlets from the Rooted in Nature bundle to coordinate with the Natures Poem designer series paper. 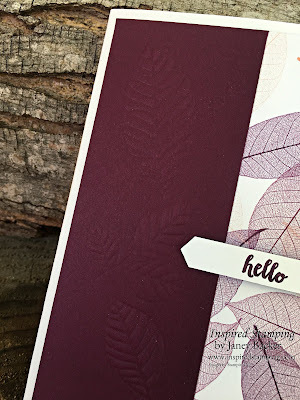 The embossed leaf designs look stunning on the Blackberry Bliss card stock. The second design featured our Country Lane designer series paper and the Galvanized Metallic paper. The Tin Tile embossing folder on the Galvanized paper brought many oooohs and aaaahs. The Country Lane suite of products has been a top pick from our Holiday catalog. October had to have a Halloween card. The Toil and Trouble suite has the cutest coordinating products. 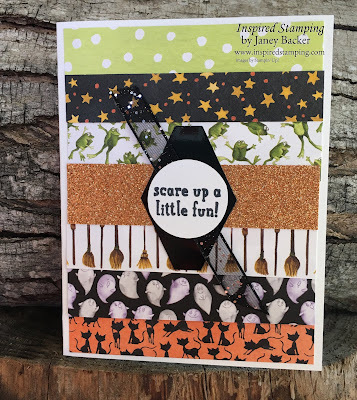 The Black foil paper, Copper glimmer paper (from Joyous Noel glimmer paper pack), and Toil and Trouble designer series paper combined into a really cute card. What do you think of the Tailored Tag punch for the Black foil paper, does it remind you of a casket for Dracula? The Black glittered organdy ribbon is attached to the circle sentiment with SNAIL tape runner, then dimensionals were applied. This gave the ribbon lift off of the paper so the glitter caught more light. As you can see - Stamp club is a very fun and special experience every month! 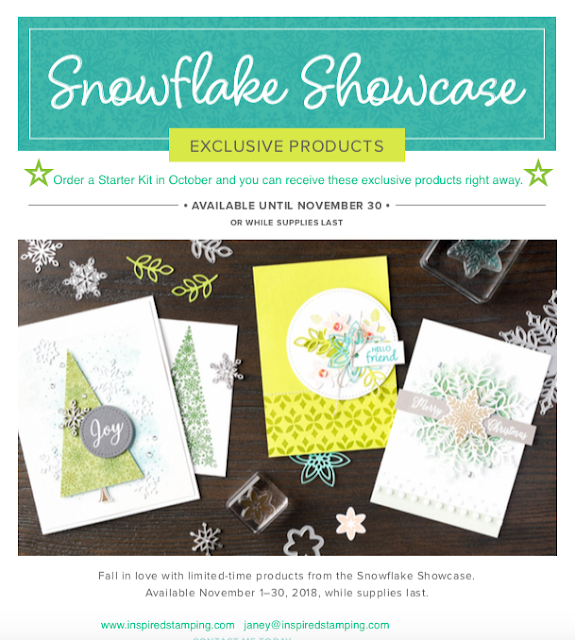 Be sure to order these special products for your stamping projects! Coming in November is this exclusive new product. 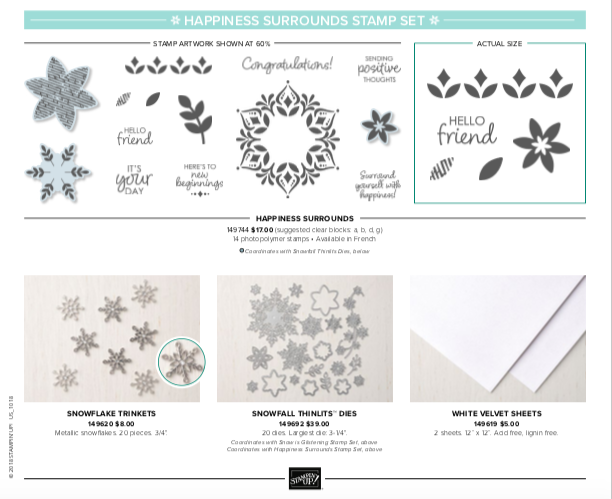 An extensive thinlet collection that coordinates with 2 stamp sets: and holiday stamp set and an everyday occasion stamp set. There is also super soft White Velvet sheets and silver snowflake trinkets in 2 different designs. I'm offering a special class on Monday November 19th at 2pm or 6pm for this exclusive product suite. Order with me by October 24th and I will place the class order and I will pay your tax. You will get the free exclusive class and all 5 products with shipping for $100. Let's say that you went to a craft store and spent $99 on things you want/need for various projects. Not hard to do is it? WHEN YOU GET TO THE REGISTER THE CASHIER OFFERS YOU A GREAT DEAL! The cashier tells you that because your total came to $99 you get to pick out another $26 in product at no charge, and the next 2-6+ months you will receive 20% off everything you purchase! No coupons to search for, you just pick out your items and receive 20% off. You don't even have to go to the store. You can just order them online! There is no fee to join the store's club and you will be able to get special perks because of your membership. At the end of your membership in this club, it will only be renewed if you spend a certain amount. Otherwise, it will just stop and you can join again at another time if you wish. 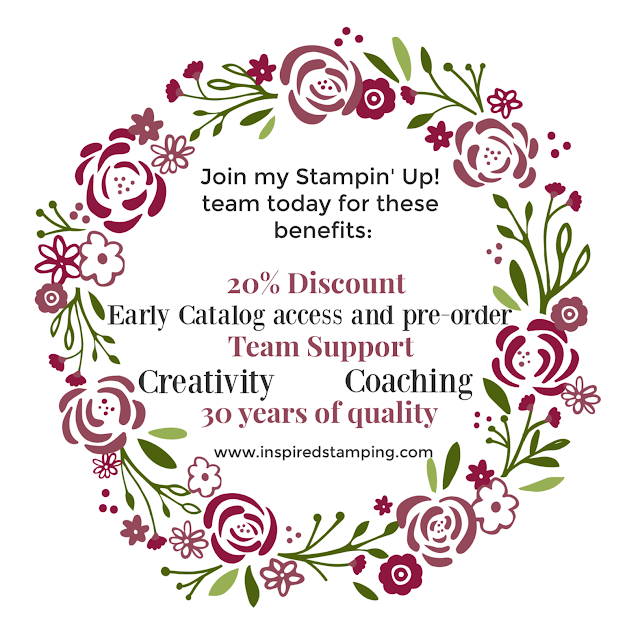 That is what Stampin' Up! is offering every month! Make a list of $125 worth of products ($99 you will pay for and $26 will be free) click here to sign up or contact me and I will walk with you through selecting your products. If you need any help please contact me. I would love to talk you through this process. 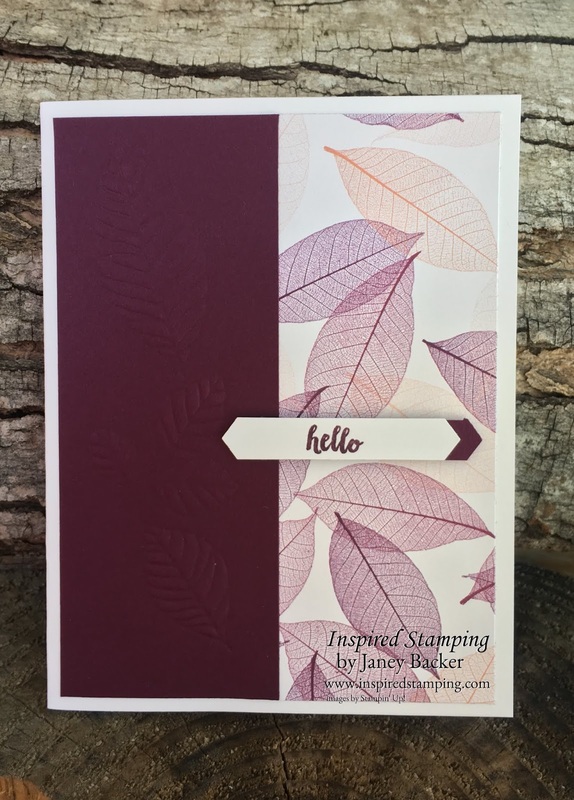 Click here for this wonderful Tutorial Bundle filled with inspiring ideas for your stamping projects! 16 cards and 16 gift projects tutorials with color photography, supply details, and instructions. You will love all the inspiration and creativity in this bundle! Each month the IDEAS tutorial bundle will publish new projects. Orders over $50 will receive 3 hand stamped cards from me. Please use the September Host Code when you order is less than $150. Host code closes on October 29th.